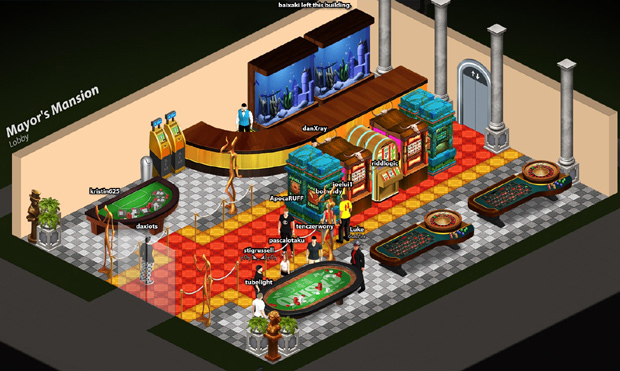 MMO MMORPG News·Editorial·CasinoRPG Launch Review – Casino Tycoon Meets Habbo Hotel? CasinoRPG is a rather unique MMO that seeks to combine the aspects of RPGs, City Building games, and gambling. On top of having a lot of casino games to play, you can customize your character, your own condo, build your own casino, and interact with other players. There are a lot of activities to take part in, and not all of them are focused on the gambling-side of the game. But, if you do want to play some of the casino games, feel safe in knowing that you aren’t required to spend any real money to take part at all. CasinoRPG has all the makings for a fantastic Casino experience – free gambling, loads of customization, and a sense of progression. As I mentioned in the introduction, there is a decent amount of customization available to you in CasinoRPG. Or rather, there is a decent amount for the type of game that it is. The game is 2D, so you won’t be getting sliders to change every aspect of your characters body, but you do get more than a few options to choose from. 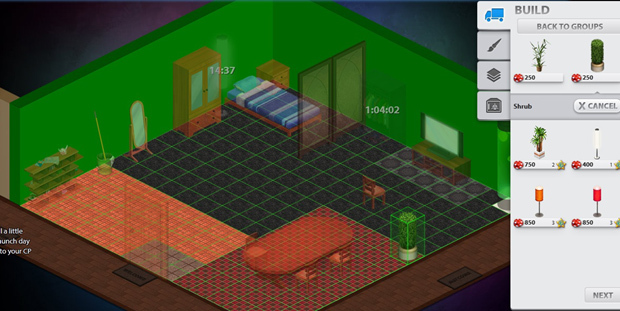 You can customize the hairstyle, clothes, and skin color of your character at any time by using a mirror in your condo. I had to admit that the selection is sort of small at the moment, but the game is still early in its life so I have no doubt that more will be added. The customization doesn’t stop there, though. As I said, you get a condo and you can customize it a great deal as well. Your condo is split into a grid where you can freely place furniture and decorations, you can also choose which way the items are facing. There is also the ability to customize the flooring – your choices range from a variety of carpets, rug patterns, and tiles. Again, not the best customization I’ve ever seen, but more than decent for the graphics style of the game. I can’t say I was disappointed with the customization in CasinoRPG. The graphics in CasinoRPG are 2D, and the style is somewhere between realistic and cartoony. The avatars and buildings have realistic proportions and lines, but the colors are more bright and happy. The UI design is simplistic and easy on the eyes, so there’s no complaints there. Overall, I have to say I enjoyed the graphics. From the many themed slot machines, to the interesting designs that can be found in the many casinos. It was all more than satisfactory. One of many themed slot machines. As you spin, the two characters shoot at each other. As far as I could tell, you play the game completely with your mouse. There might have been some hot keys that you can use on your keyboard, but I honestly didn’t see any reason to try and find out. Using just your mouse was more than enough. The UI was very responsive, except in a few rare cases. To get around, you will click on a tile on the ground to have your avatar move to it and to interact with something (such as a casino game), you simply walk up to it and left click. 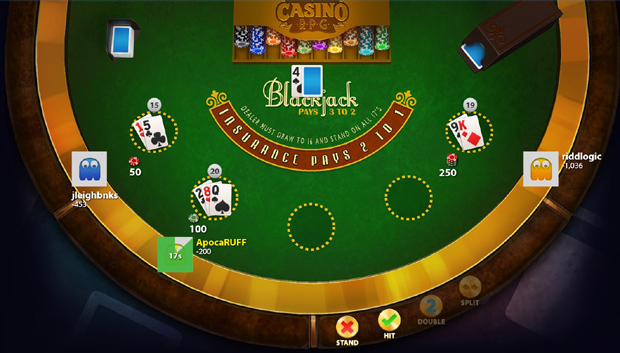 A large part of the appeal in CasinoRPG is the community. Playing by yourself or against computers can get a bit boring and lonely. That won’t be an issue in this game, however, as there are a variety of local and global chats you can participate in. You can also play against other players and chat with the people at your table. So, if you’re a slots guy, you can chat with the other people in the casino or in the global chat while you spin. Or, if you’re more into poker or blackjack, you can sit back and hang out with the people at your table. And, from what I saw, the community was mostly mature. I even noticed a few people with “GoldFire” under their name, so I assume they were developers hanging out with their players, which is always nice to see. The feature that’s going to get the most attention in this game is the gambling. Or so I thought. In my opinion, the gambling isn’t even the main attraction for this game. However, gambling is definitely a part of the game (and a big part at that). Honestly, I’m not a fan of gambling. I hate the idea of wasting your money away on chance (an often rigged chance). But the fact that you can easily participate in the gambling in CasinoRPG without investing a dime of your own money made it a lot more enjoyable and I even found myself getting absorbed into a few of the games (mainly Blackjack). What’s odd about this game is that there is a level system present. Depending on your level, you might be restricted in how much you can bet, or you might gain access to features that help you win more in slots. The more you play, the more experience you gain and the more you’ll level up. For example, at level 3 you can only bet 50 chips in Blackjack, and to unlock higher bets, you’ll need to continue to level up. I guess this is the first of the features that put the RPG in CasinoRPG. The other feature that helps the RPG aspect is the quests. At first, the quests are honestly more of a tutorial to help you ease into the game. 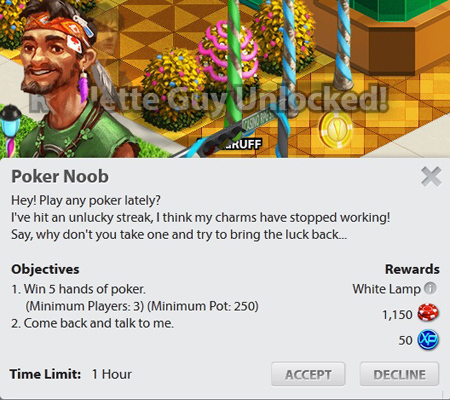 You can find NPCs with coins over their heads who will give you tasks, such as win one-thousand chips at slots or poker, and then will reward you with more chips and experience points. There’s even a main-story line that helps you start from the bottom as a janitor and move up to owning your very own casino. The story was honestly more interesting than a lot of browser-based RPGs I’ve played. As I mentioned, you start out as a janitor. That’s your job. You can work shifts where you play mini-games, to advance your job experience and gain access to newer and better paying jobs. For example, the step after janitor is bartender. 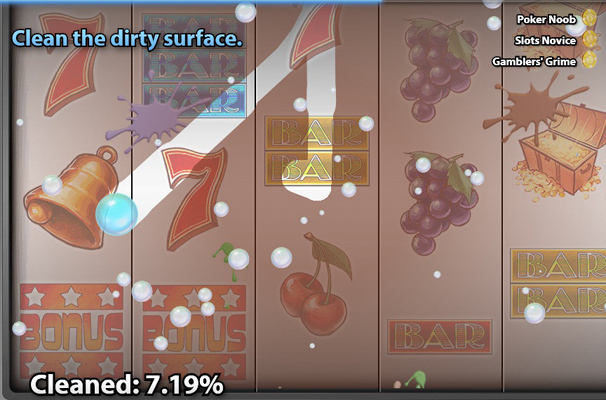 The jobs have interesting mini-games, such as the bubble-cleaning game you do when cleaning a slot machine. Needless to say, you’ll get both experience and chips for completing your shift. Last I’ll talk about the achievements and cash-features of the game. Achievements are much like they are in other games, ways to show off what you’ve achieved in the game. Whenever you get an achievement in CasinoRPG, you get a pop-up that asks if you want to share it on social media. 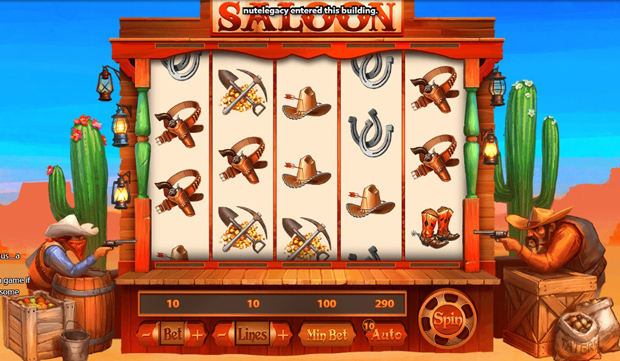 As for the cash features, the game uses CasinoPoints as its cash-currency for purchasing stuff in the game. The CasinoPoints are used for buying furniture and items for your person, condo, and your casino. There’s even the ability to buy and sell CasinoPoints to other players using chips – so I’ve got to say, the game isn’t buy-to-win in any fashion and it seems like you can enjoy the game with no problem without paying a cent of real money (especially considering the multiple ways to get CasinoPoints just from playing the game). I have to admit I was surprised with how much I enjoyed playing CasinoRPG. 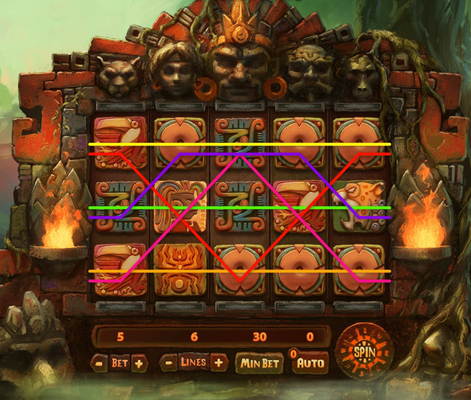 I generally hate gambling games, but the fact that the game is far from pay-to-win makes it very attractive. It’s easy to hop in and play some casino games to pass the time, or you can just chat with the other players. The customization features are nice, especially since it gives you a goal to work for. Somehow, GoldFire Studios managed to actually make a decent Casino game with RPG aspects, and I applaud them for pulling that off. I would definitely say give CasinoRPG a try if you’re a fan of casino games, or if you’re just looking for a new browser game to play. Features: 4/5 – A surprising variety of features. Customization: 3/5 – I like the direction they’re going, but would like more options. Graphics: 3.5/5 – Decent graphics for a 2D-browser based. Controls: 4/5 – Only a few minor problems that were probably on my end. Community: 5/5 – Great community. Overall: 4/5 – I can safely recommend this game to other people.